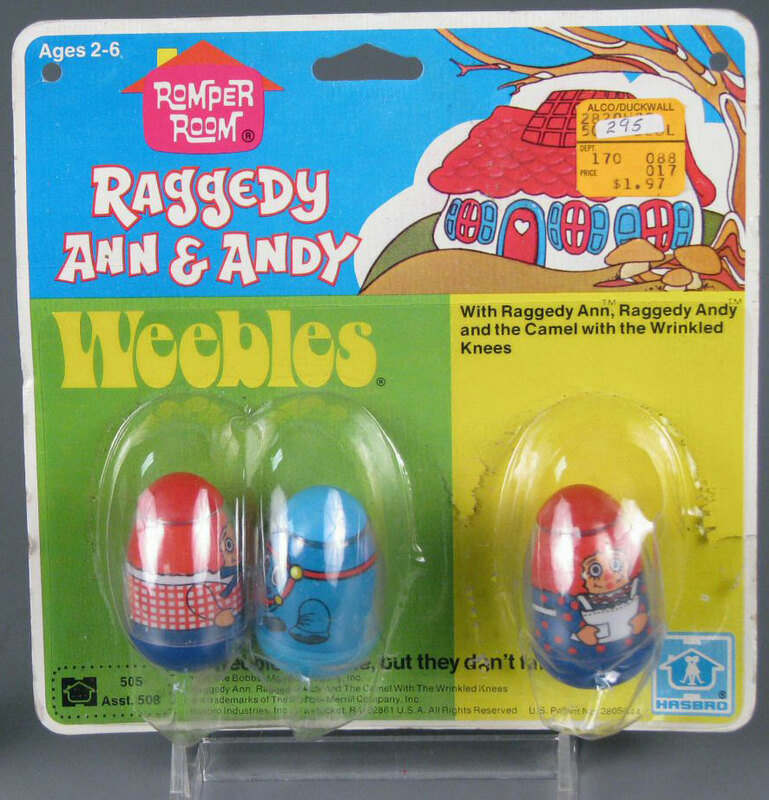 Description: The Raggedy Ann & Andy Weebles set is one of the Romper Room Weebles Licensed sets. 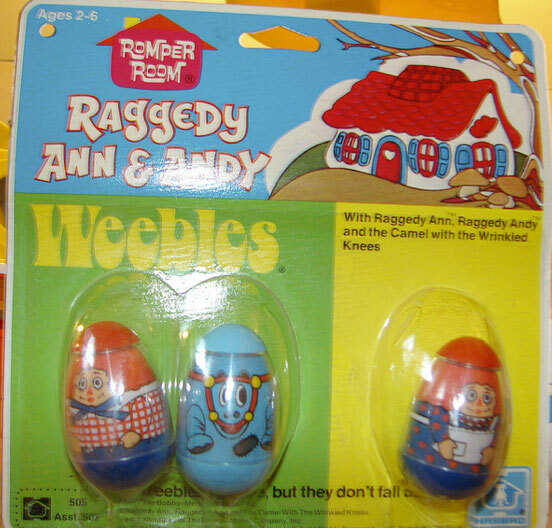 The set includes 3 Weeble figures: Raggedy Ann, Raggedy Andy, and the blue Camel with the Wrinkled Knees. HTW395 - Raggedy Ann - Blue base, red top (hair) wearing a blue dress with red polka-dots / white apron with bow in back. HTW396 - Raggedy Andy - Blue base, red top (hair) wearing a red/white checkered shirt and a blue bow tie. HTW397 - Camel with the Wrinkled Knees - Light blue camel with a red horse harness and dark blue patch on the front. 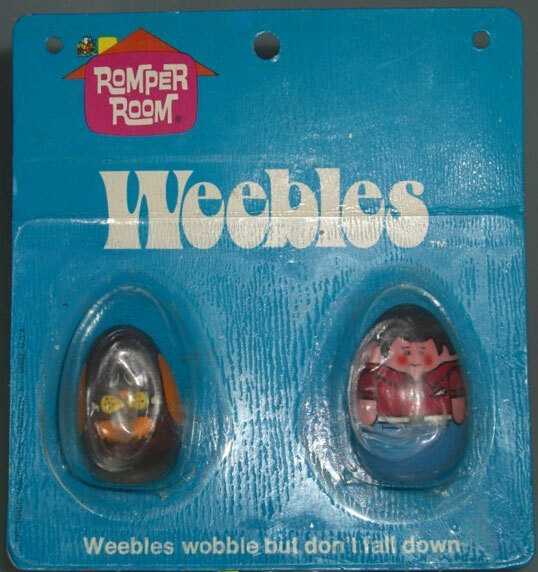 Included in the National Toy Hall of Fame Online Collections.